It's Tax Season! 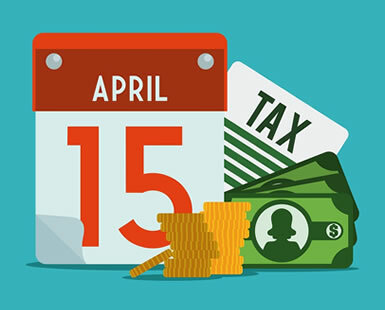 Do you have plans for your tax refund this year? If you are getting a significant income tax refund, you may want to consider how to best invest that money. Many people choose to use their refund for home improvement projects, and we have some ideas for making your house more efficient and comfortable with small projects that pay off. If the insulation in your attic is not up to par, close to 30% of the conditioned air your system is producing could be escaping your home. According to energystar.gov, replacing old windows can save up to $465 per year in energy costs alone. Look into energy efficient lighting fixtures. Paired with energy efficient light bulbs, they will use 75% less energy than traditional lighting. Easy to install and fairly inexpensive, programmable thermostats are helpful in regulating temperatures during the day, saving money on usage, and increasing comfort. A storm door protects your front door and serves as an additional barrier to the outdoor elements, better insulating your entryway. Between the utilty rebates and the energy savings, replacing a forced-air unit can start to pump not only comfort, but money into your living space. Your house is probably your most valuable asset, so make sure you take care if it! Whether it's a new high-efficiency furnace, cost-effective appliances, or new windows that aren't as drafty, investing in your home will add value to your home, make for more enjoyable living, and may save money on utility bills.